The average cost of memory care in Williamson County is $5,130 per month. This is higher than the national median of $4,650. Cheaper nearby regions include Maury County with an average starting cost of $3,800. To help you with your search, browse the 1 review below for memory care facilities in Williamson County. On average, consumers rate memory care in Williamson County 4.0 out of 5 stars. Better rated regions include Rutherford County with an average rating of 5.0 out of 5 stars. Caring.com has helped thousands of families find high-quality senior care. To speak with one of our Family Advisors about memory care options and costs in Williamson County, call (855) 863-8283. Williamson County is a suburban enclave just south of Nashville with a population of 226.000 people, nearly 13 percent of whom are aged 65 or older. Residents in that age group who have Alzheimer's disease and other forms of dementia and need live-in memory care can choose among 10 facilities in the county. In Williamson County, as in all of Tennessee, memory care facilities fall into two categories: assisted care living facilities and residential homes for the aged. Both types of places receive licensure from the Tennessee Department of Health. Residents of Williamson County get to experience all four seasons, including hot, humid summers and chilly winters, though the cold doesn't last as long in Middle Tennessee as in most parts of the country. July highs average 89, and January lows average 26. The area gets more than 200 sunny days each year, so memory care residents will have ample time to spend outside for supervised recreation if they desire. Williamson County is an affluent area with a high cost of living, which is 49 percent above the national average. Sky-high housing costs account for much of the discrepancy. The average home in Williamson County is more than $440,000. However, many staple purchases for memory care residents, such as healthcare and groceries, cost around average in Williamson County. Williamson County is a very tax-friendly destination for senior citizens, including those needing memory care. Social Security benefits and other forms of retirement income are not taxed at the state level, leaving more money available for seniors to put toward quality healthcare. Family members looking to relocate to be close to their loved one in memory care will find low property taxes in Williamson County. Williamson County's violent and property crime rates are 13.1 and 15.2, respectively, on a scale of 1 to 100 where 1 represents the safest areas. The national averages, by comparison, are 31.1 and 38.1, making Williamson County a very safe place to reside as a memory care patient. Memory Care costs in Williamson County start around $4,998 per month on average, while the nationwide average cost of memory care is $4,799 per month. To see a list of free memory care resources in Williamson County, please visit our Assisted Living in Tennessee page. 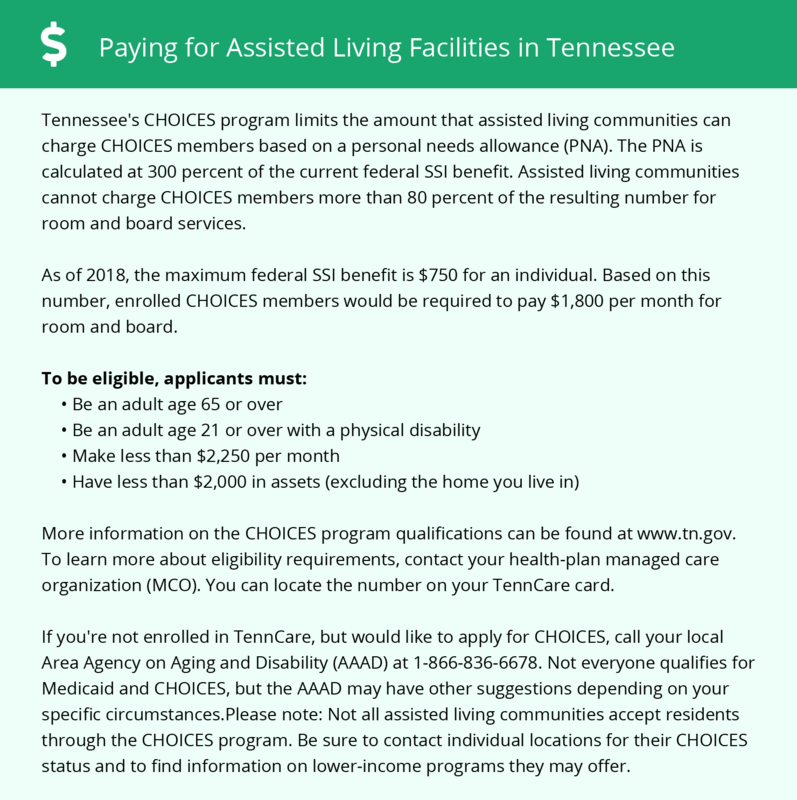 Williamson County-area assisted living communities must adhere to the comprehensive set of state laws and regulations that all assisted living communities in Tennessee are required to follow. Visit our Memory Care in Tennessee page for more information about these laws.